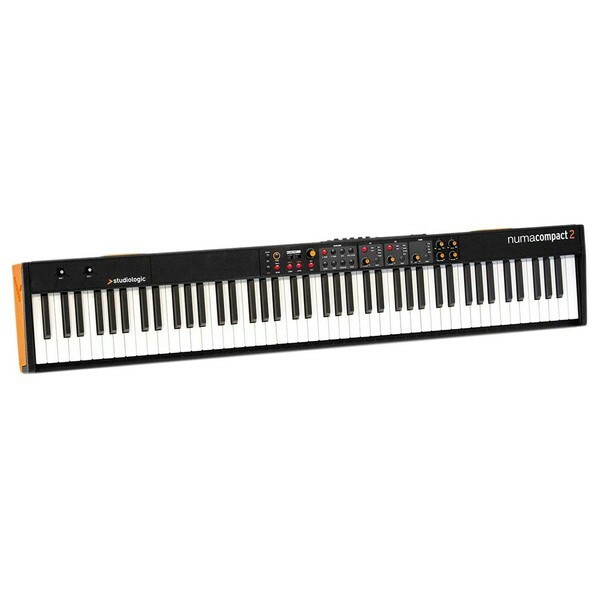 The Studiologic Numa Compact Digital Keyboard offers a comfortable playability and easy to use features for the student musician. The 88 semi-weighted keys are easy for younger students to press without unnecessary resistance. The Numa's dual system sensors respond to the velocity of your playing and recreate it accurately for a realistic sound. The multiple sounds include grand pianos, organs, electric pianos and more, keeping your learning inspired. The Numa benefits from MIDI outputs for integrating with your DAW. The slim design and lightweight structure are ideal for taking this keyboard on the move. The Numa Compact keyboard is ideal for student musicians wanting a reliable keyboard to take to lessons and create music with. 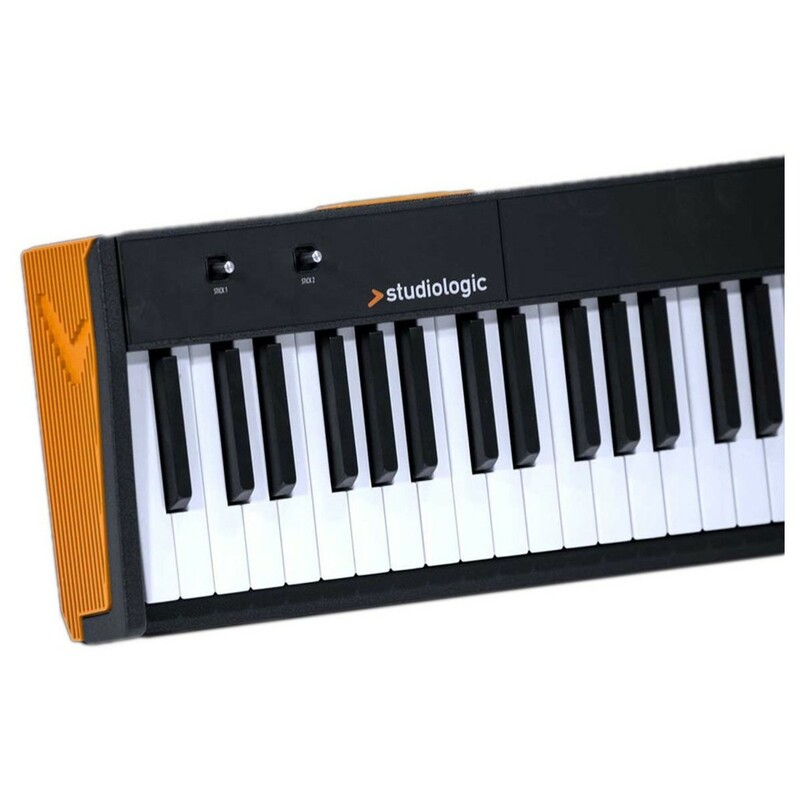 The Studiologic Numa Compact 2 MIDI Keyboard builds on the success of the original Numa Compact Keyboard, with a range of enhancements and upgrades including new built-in speakers and an internal digital amplifier. The versatile nature of the StudioLogic Numa Compact 2 makes it ideal for both professional and beginner players alike, ideal for digital music production and live performances alike. The Numa Compact 2 gives you unprecedented control over your sounds with a range of parameters including dual metal stick controllers for expressive performances. Aftertouch technology is also incorporated into the keybed for fluid playability and added expression. The Numa Compact 2 MIDI Keyboard is ideal for a range of applications from practising to training sessions, to producing music. The new OLED display provides a sharp and clear screen for visual feedback, showing you your presets and other vital information. The new sound bank section features a diverse range of professional sounds, with a built-in 1GB flash memory. The built-in professional FX processor allows you to use up to 6 effects simultaneously for in-depth modulation. Built-in speakers are also included so you can set up and play anywhere you go, eliminating the need for a PA speaker or other sound systems. The compact yet lightweight design of the Studiologic Numa Compact 2 makes it ideal for stage and studio applications. 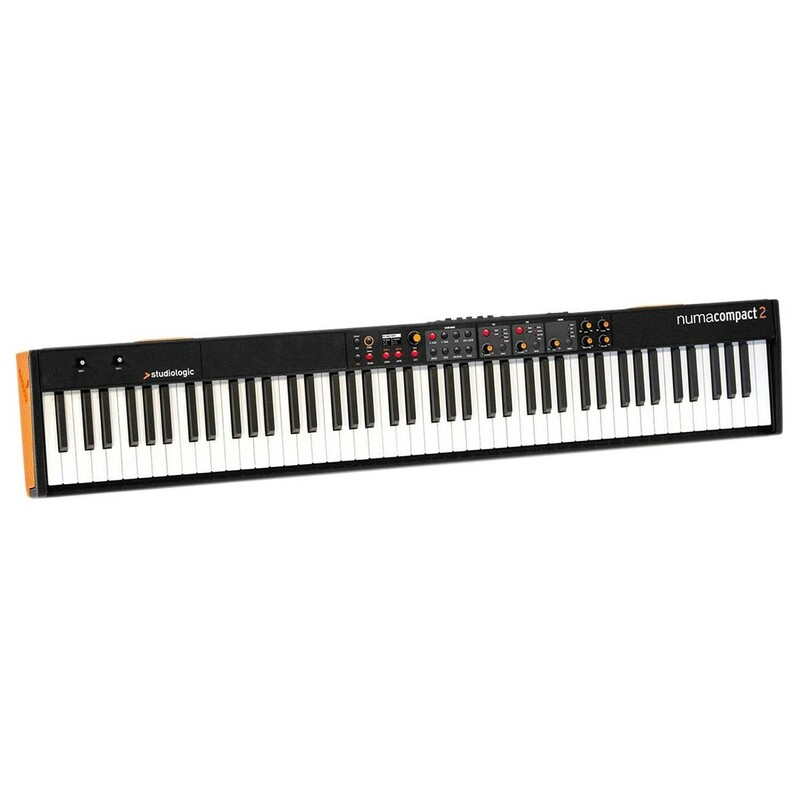 The 88-key semi-weighted keybed provides fluid playability with a range of parameters and controls to affect your sounds. Redesigned from the base up, the lightweight yet sleek-looking cabinet will fit perfectly into any stage/studio setup. 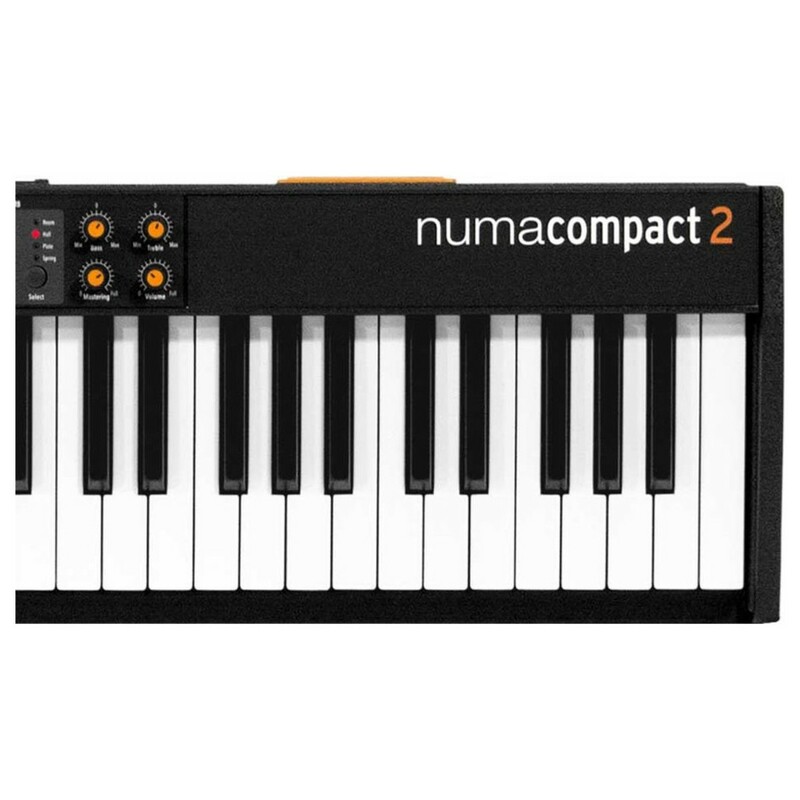 The Numa Compact 2 also features a range of analog and digital connectivity including MIDI and USB connections for use with your favourite DAW. A headphone 6.3mm TRS jack (programmable as Aux Out) is also included for private listening as well as connectivity for expression pedals and 2 x 6.3mm mono jack (L+R) for connecting to an external stereo source.